There is nothing nicer than using your iPad whilst lying back lazing on your sofa, reading the latest news, emailing your friends or buying the latest gadget. It is now a ubiquitous device in many if not most households, but you will find it has scope far beyond its initial anticipated uses. How about using it as a Home Automation system controller? 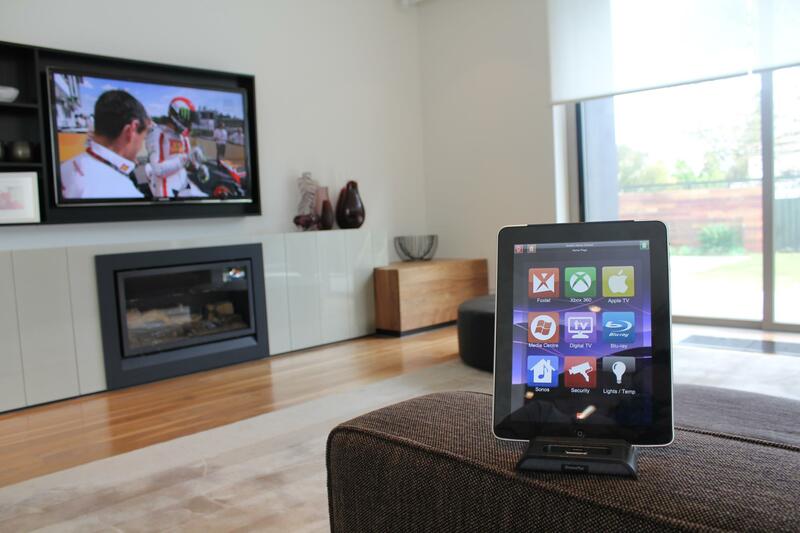 Enter iPad Home Automation, that is controlling your 'Smart Home' with an iPad. 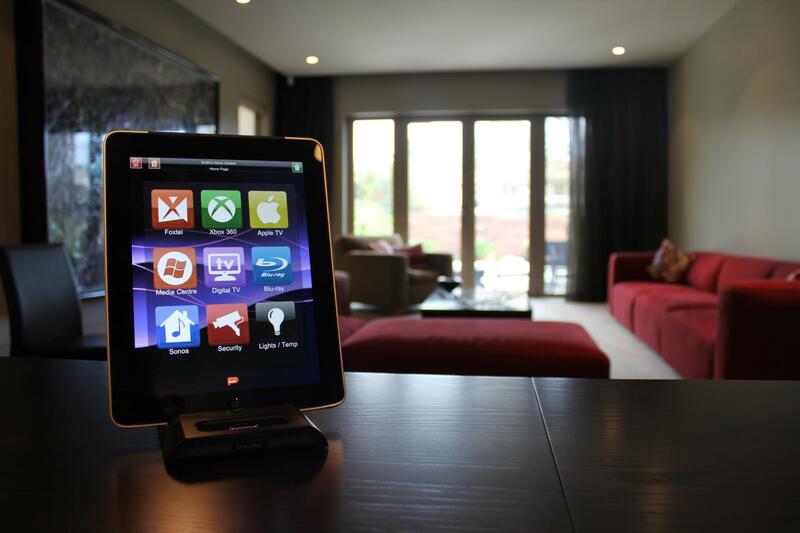 As it would happen, there are many home automation systems now touting control by the iPad. 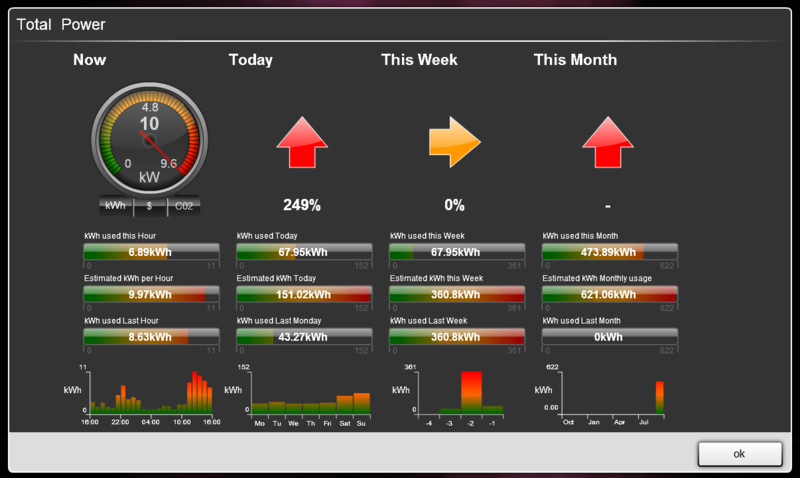 All have very nice looking graphical user interfaces and provide varying degrees of functionality. 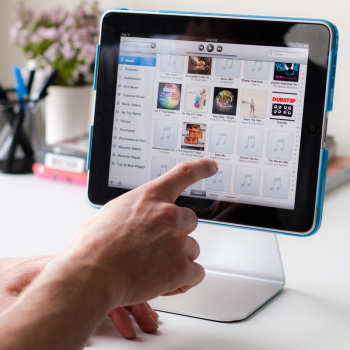 In this article, I discuss using the Apple iPad in your home automation system and tell you a bit about the various ways people tend to deploy them in their Smart Home Automation system. I do note that while the iPad makes a very nice home automation controller, it does have limitations firstly just in convenience when compared with an iPhone / Android phone (see our iPhone Home Automation article) and secondly, in comparison with dedicated home automation touch screens such as the Clipsal C-Touch or Clipsal Spectrum. I will elobrate further later in the article. This mode of operation directly attempts to fulfil the role normally played by a dedicated home automation controller. To fulfil this role with aplomb, you are going to need a nice iPad wall mount for your iPad and an understanding of the mode of operation and what applications you will likely want that iPad to run. By 'mode of operation' I refer to the question, after installation, will this become a dedicated device or do I want to bring my own iPad home on a nightly basis and use it for this function as an adjunct to its normal use? This decision sways the sort of wall mounting solution you will choose. 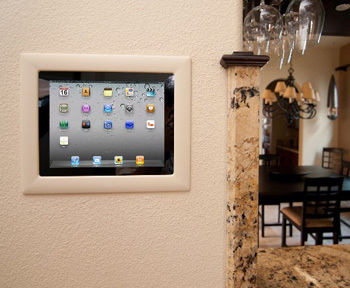 Consideration should be given to the applications that you want to run in addition to running the iPad as home automation system controller, as this will likely effect the final location and whether you want to wall mount it high or low on the wall. Whilst it can be lower on the wall (like standard light switch height) if acting primarily as a home automation controller, it doesn't for instance make much sense using your iPad as a music source for distributed audio if the controller is low on the wall like a light switch as this makes it hard to read and interract with the iTunes (or other audio software like Sonos etc), or for reading the news or using it for internet access as the required heavy use of swipes and small buttons pushes are best performed/accessed around chest height with your face closer to the screen. Also, the heights of the primary home users should also be considered. The Wiser from Clipsal is probably the most innovative automation system controller in the world today, is an incredible box and a bargain for ANY C-bus installation. It is a C-Bus to Network Interface, a wireless (WIFI) gateway/wireless access point, a home automation logic engine and a GUI Web server giving wireless access to iPads, Android web tablets or PCs and talking to wired and wireless C-Bus networks (through a gateway). The logic engine allows stuff like 'if its wet, don't water the grass' sort of programming and the web browser provides the amazing graphical user interface that you can see in this interactive video. The Clipsal Wiser's intuitive graphical user interface (GUI) is accesible both locally from inside or outside your house, and remotely for when you are away from your home from a multitude of controlling devices including Apple iPads & iPhones, Android web tablets, Android Phones, but also Colour c-Touch touch screens,and web books, notebooks and other PCs, and almost any device that can run an Adobe flash enabled web browser. Designed with quality and elegance in mind to rival the premium style controllers from the likes of Crestron, AMX etc the iRoom iDock unit is an easy to use 'ejectable' dock that is the best placed if you want to bring your personal iPad home at night and make it the centre of say your audio or video entertainment suite etc and have it charge up ready to take to work the next day. and installation is easy into Gyprock lined walls, but obviously more difficult into existing masonry. A wall box is installed in both cases and can be set into the wall during constructions. There is even a secure iDock best suited to company Board Room style of use and features a proximity sensor that causes a code panel to light up when you approach. After the correct four digit security code is entered, the iDock opens allowing you to insert or remove your iPad. 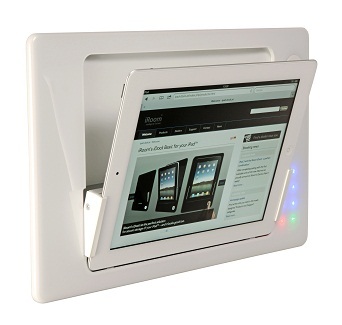 Many people buy the iPort CM-IW2000 iPad iPad 2 Control Flush Wall Mount for the iPad to act as a permanent or semi-permanent home automation controller or 'touch screen' or a multi-room audio and media control centre etc. At the quite reasonable price they are sold for, you can actually buy the mount and a brand new iPad to go into it for about the same price as the motorised ejectable iRoom iDock unit. This is not a dock to be putting an iPad into and out of though. For an iPad running Clipsal C-Bus home automation system controller you may also want to consider a newly available Australian Custom made mount by CTC iPad Semi-Permanent Wall Mounts that matches both the Clipsal Saturn glass or Saturn or Reflections stainless steel switchplate and power point ranges. Of a lower install cost basis compared with flush mount in-wall systems are the On Wall Mount Docks. At the budget end there are multi-task iPad protective sleeve or case like devices such as The Wallee which uses simple wall mounted 'cross' disks to allow a the specially sleeved iPad to connect to a wall, or a Pivot desk mount allows it to be used on a table both in portrait or landscape modes of operation. 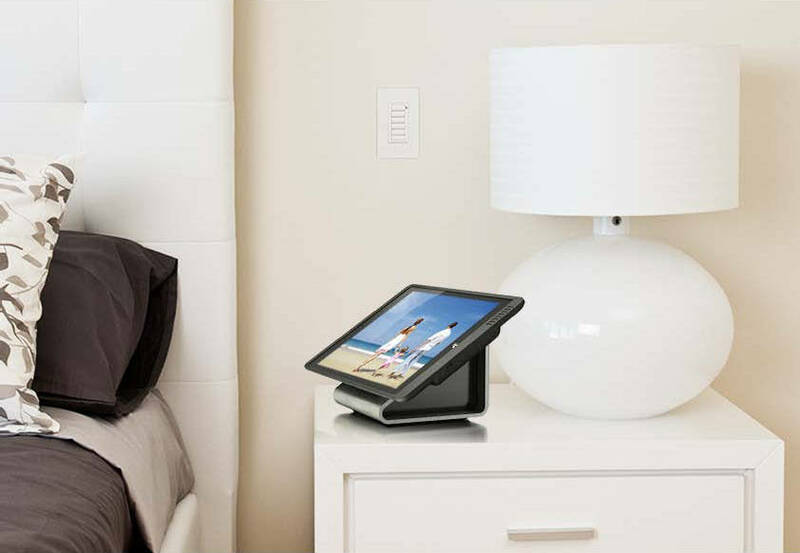 Of a more substantial and more functional basis, is the iPort Launchport system that incorporates innovative induction iPad charging into the iPad wall mount and iPad desk mount docking stations. 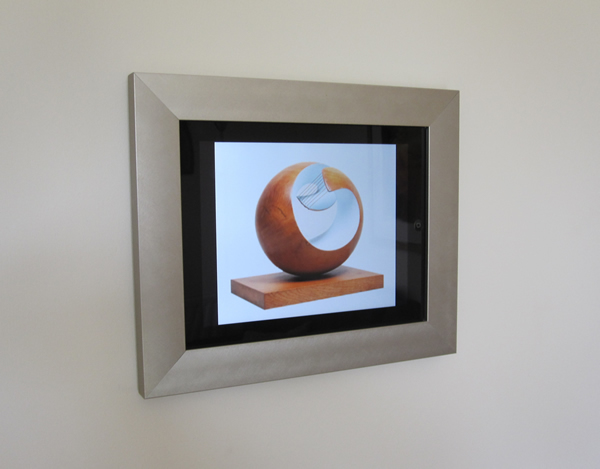 There are also a number of specialist iPad on-wall or in-wall mounting frames by other bespoke makers such as the CTC iPad on-wall or in-wall mount for Saturn and the Vidabox iFrame Wall Mounting Frame on-wall solution. In this mode of operation, it is usually better if the iPad is sitting in a iPad cradle mount or on a iPad desk mounted stand. The primary application usually supports the home theatre / media room configuration first and foremost providing an interface to the online media and sound system control, media seclection control, and the automation system control is usually the secondary operation when used in this mode. Push Controls is an iPad 'app' solution based on a Bitwise infra-red hardware platform at the back-end that controls and talks to entertainment system hardware or home automation system hardware within your home. It is very much at home in the Lounge Room, Media Room or Home Theatre areas of your home and its control interface and the products that it interfaces with are more aligned to the entertainment system line of products. 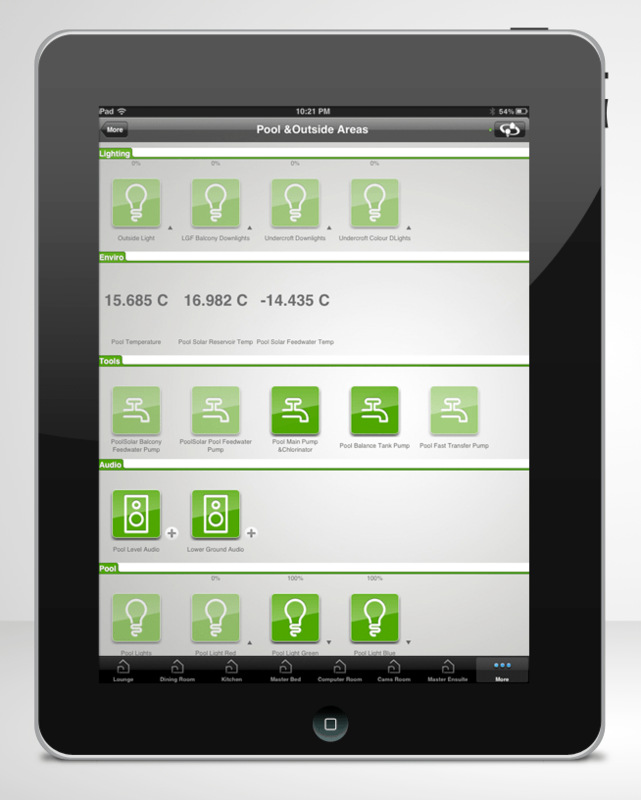 When used in conjunction with an all of home automation system such as Clipsal's C-Bus, the Push Control iPad app is more correctly designated an iPad Home Automation Controller solution, which provides a nice GUI interface to the lighting control, multi-room multi-zone audio or other normal Smart Home automation features. Again, the budget end comprises multi-purpose iPad protective sleeve or case like devices, such as The Wallee in which the specially sleeved iPad is clicked on to the nice Aluminium Pivot desk mount (looks much like an inverted 7 side on) allowing the iPad to be used on a table, in the home theatre or on the kitchen bench in both portrait and landscape modes of operation. The Wallee does not incorporate charging itself but does not hinder the normal Apple iPad charger. Again a more substantial systems is the iPort Launchport system incorporating the innovative induction iPad charging into the iPad desk mount docking stations is a great piece of engineering and is very easy to attach and remove. In Summary, there are many great products useful for providing robust iPad Home Automation and Home control by iPad of your house. I hope we have whetted your appetite.